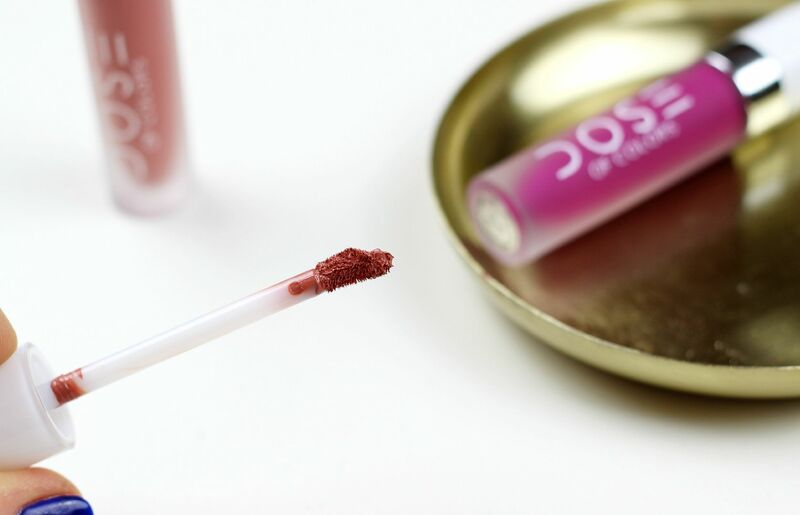 In turns out I can’t get enough of liquid lipsticks – they are without a doubt my new obsession. They just give me the matte lip that I’m always after in a powdery and long-wearing formula. The Dose of Colours liquid lipsticks had been on my radar for a while, but they were only available in the US. Wait just a second though, my beauty crush of the moment, beauty bay, is now stocking them! They are on fire at the moment. I quickly ordered two shades – Berry Me and Truffle. They actually sent me Berry Me 2 (lazy shade naming), but I only noticed after I had applied – oops. I was so excited to try these, this is basically what I did as soon as I got home yesterday. This is not an in depth review as such, because I’ve only tried them on, but it’s just me reporting in. Truffle seems to have a better formula, because it applied so creamily, and didn’t dry down to anything too drying – one for those who are scared of matte matte lips. Berry Me 2 is super drying, yup. The berry shade did survive a shower and a cup of tea, so it’s made of pretty hardy stuff. 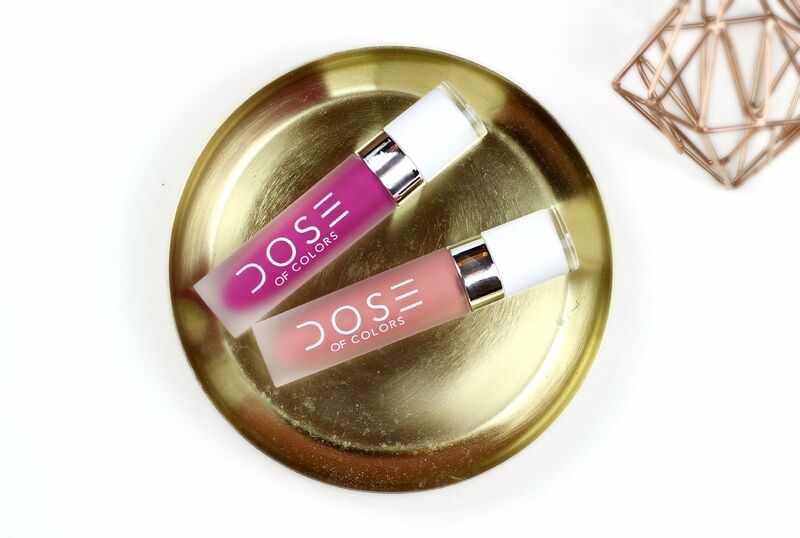 I love the packaging and the applicator of these – the bottles are all frosty, and the applicator is a little curved so it hugs your lips. The extravagant extra: Jade face roller.